As we kick of our 2016 Home Tours program with a stop in San Diego, check out the work of participating architect Steven Lombardi in a new exhibition of drawings and architectural models that reveals the inspiration behind his beautiful homes. For architect Steven Lombardi, the physical acts of drawing and model-making are a crucial part of the creative process—one that many designers have begun to overlook in today's digital age. Lombardi's multidisciplinary practice, which includes everything from full-scale architecture to product design, is as much about the art of design as it is about the field's more pragmatic side. The show includes sketches and models for both realized and conceptual projects, offering visitors a chance to see a side of the architecture that often goes under the radar. Handmade runs through May 16, 2016 at Mod Matter, ﻿2064 Kettner Avenue in San Diego. 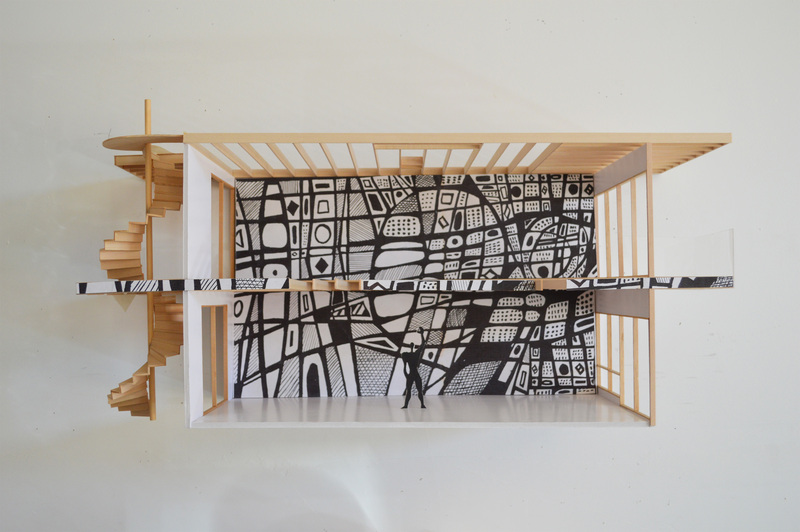 Handmade: Drawings and Models by Steven Lombardi Architect opens April 16, 2016 at Mod Matter in San Diego, and runs through May 16.